Water Storage: How To Store the Most Important Emergency Item. The average human can survive without food for a month or more depending on the circumstances, but cannot survive without water for more than three to seven days. With water making up 65 percent of the body, it’s essential for life. Unless you’re living in California, where even the latest storms aren’t enough to compensate for the last few years of drought, you likely haven’t worried too much about where you’re going to get your next glass of water, take a shower or do your laundry. It isn’t just drought, however, that can limit the ability to obtain water storage. In a variety of natural disasters, public water lines often crack, allowing dangerous pollutants into the water that feeds directly into our homes. Just such an event happened in January 2014, when 300,000 residents of Charleston, West Virginia were unable to use their local water due to a chemical spill in the Elk River. The contamination of their water supply left them without safe water for over five days. Alternately, in a disaster water can be shut off altogether, without a clear indication of when it would be turned back on. If a natural disaster occurs in your area, chances are good that you will have to rely on your own water storage to keep your family from dehydration and to perform daily household activities. How Much Water Storage Should You Have? The Federal Emergency Management Agency (FEMA) recommends storing one gallon of water storage per person per day for at least three days. With cooking, cleaning and drinking, one gallon is likely too conservative an amount and should be increased, especially during the hottest times of the year. Consider your personal needs and store accordingly. If you drink a lot of water regularly, you’ll need more water storage. If you have pets, store more. If you take medications, store more. Keep in mind that it’s unlikely you will ever have too much water storage, so the more you have, the better off you will be. The most obvious option for water storage is to buy bottled water, which is all ready for storage. While this is an easy choice, it can be expensive. Another option is to bottle your own water, or otherwise store it in various-size containers dependent on where they will be stored. This is an excellent option as long as you take the right precautions to ensure your water does not become contaminated. There are new 5-gallon water storage supply boxes from Legacy made of heavy-duty cardboard boxes with thick-BPS-free plastic bags inside. These are much easier to fill, stack and access than the 55-gallon blue water barrels often used for emergency water storage. 1. Always use food-grade containers for water storage. Whether you are bottling your water in glass, plastic, or stainless steel (do not use metal as it can corrode and leak harmful substances), make sure your containers are food-grade. If you do not have food-grade containers, chances are high you will have dangerous substances leaking into your water. 2. Don’t use milk jugs or juice containers for water storage. If you choose to use plastic bottles, avoid bottles that have previously held sweet or sugary substances like fruit juice or milk. The sugar in these substances will stay in the plastic no matter how you clean it. During water storage, the sugar will instigate bacteria growth. 3. Sanitize containers well. Wash the water storage containers with hot water and dish soap, then rinse them out with 1 quart of water mixed with 1 tsp. bleach. Rinse everything thoroughly and let them dry completely. Wash your hands before you fill them with water and avoid touching the lip of the bottle with your fingers. 4. Store water out of light and away from heat. According to the International Bottled Water Association, when water is exposed to direct sunlight or heat sources for extended periods of time, algae or mold may “infrequently develop.” These cardboard supply boxes from Legacy Food Storage are ideal for keeping the water storage away from light. 5. Rotate your bottled water every 6-12 months. Check your water storage at six months to ensure it is drinkable. As previously mentioned there are many ways in which water can become contaminated, making it undrinkable. In most cases, rotate it out after 12 months (possibly six months if bottled on your own). As you likely don’t want to waste the water, consider using it to water your lawn and gardens, wash your car, pets or laundry. You could also purify the water to make it safe again for drinking and cooking. 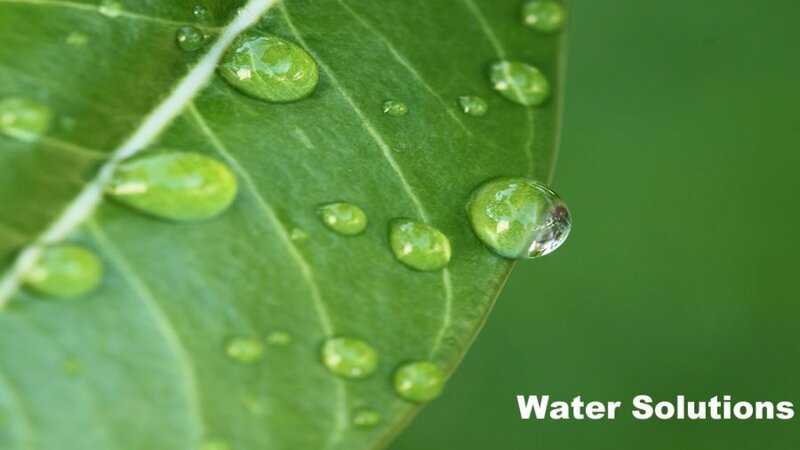 What Is the Best Way to Purify Water Storage? Even if you have plenty of water stored up for an extended emergency situation, it’s possible that you could eventually run out. In the event of a survival situation, be prepared with water purification gear and/or some basic knowledge of how to purify water. It’s a great idea to add a water storage purification device or water purification tablets or droplets to your emergency supplies. There are a variety of small, long-lasting water filtration systems available: everything from straws that filter water as you drink through them, pitchers with built-in filters, and personal-size water filtration bottles. Having one of these in your water storage preps can save you a lot of hassle in emergency and survival situations. It’s also a good idea to learn some basic water purification techniques. If you don’t have a water filter or purification tablets handy, remember that for most types of water, you can boil vigorously for 1 to 2 minutes to kill harmful pathogens and make it safe for drinking. You can also follow FEMA’s recommendations for water storage and add 16 drops of regular household liquid bleach to one gallon of water. Both of these methods should make most water safe. It’s easy to see why having safe water storage is a vital part of emergency preparedness, but it’s a part we sometimes overlook as we gather food storage and survival gear. In your quest for emergency preparation, don’t neglect your most important survival item. Stock up on fresh, clean water and save yourself and your family from unnecessary circumstances in the event of an emergency.